When you think your song is ready and you would like to export it to your computer, go to the File menu and click on "Export audio". 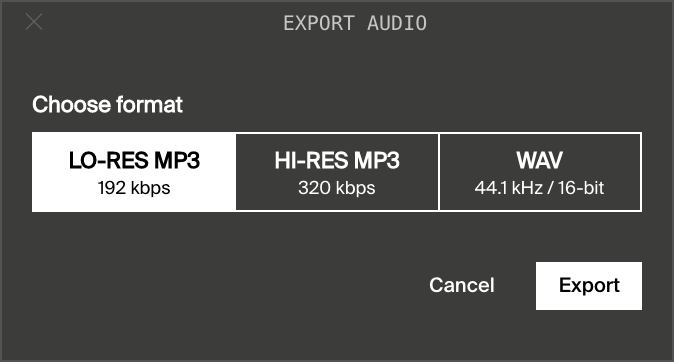 You can now choose your preferred format: LO-RES MP3, HI-RES MP3 or WAV. 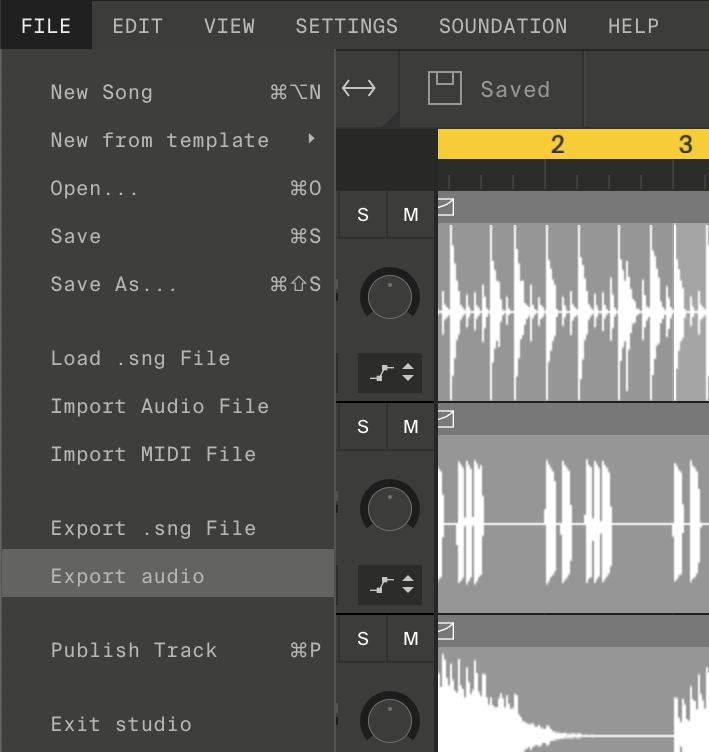 Soundation will process your song and you'll be able to save it to your computer. If you click on "Export .sng File" you will download a data file of the song arrangement in Soundation. The .sng file is very small and can be sent to another Soundation user to listen to or work on an arrangement of your song. For paid account users the "Export .sng File" function will also download any imported or recorded audio you added to the song. The file is then called a .sngz file and will contain your custom audio files and the original .sng file. The file name is short for "song zip" and can be unpacked with any unzip program to find the custom audio files added to the song. This feature will allow paid users to have a local copy to then free up their storage usage by deleting the song audio files from the My Files folder.